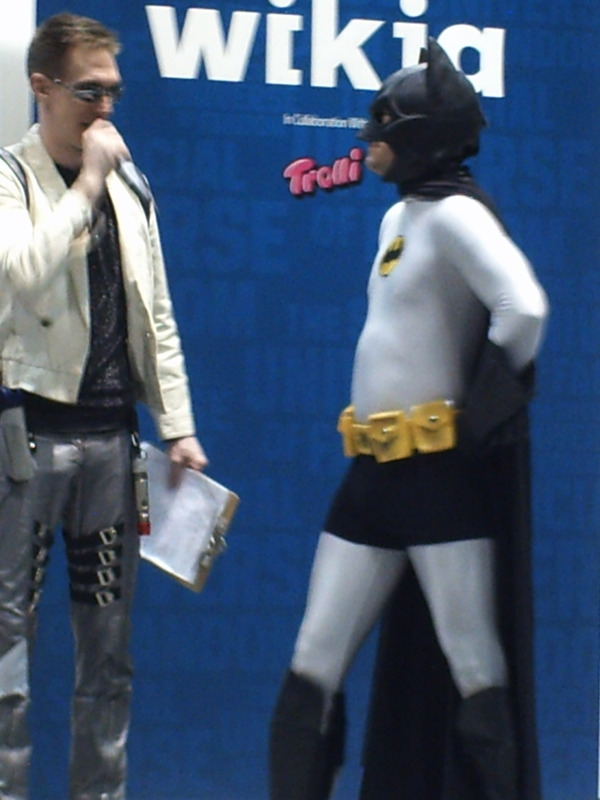 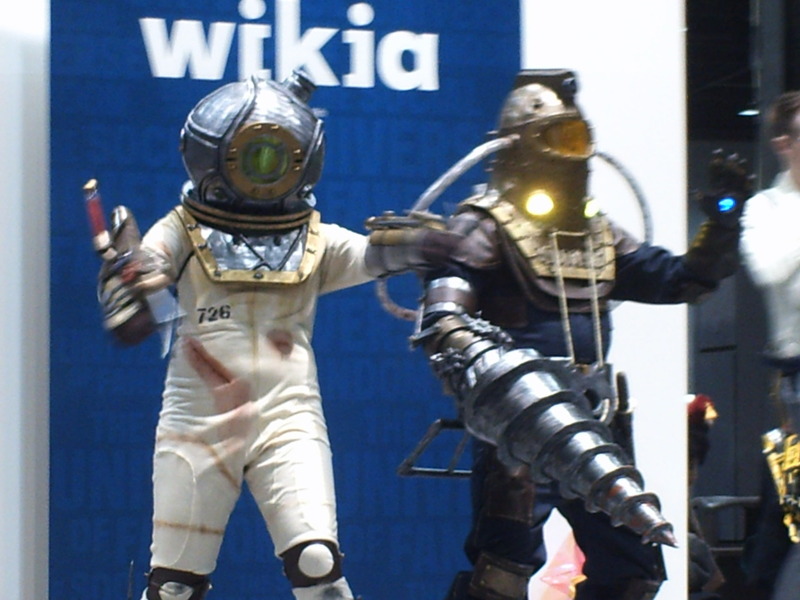 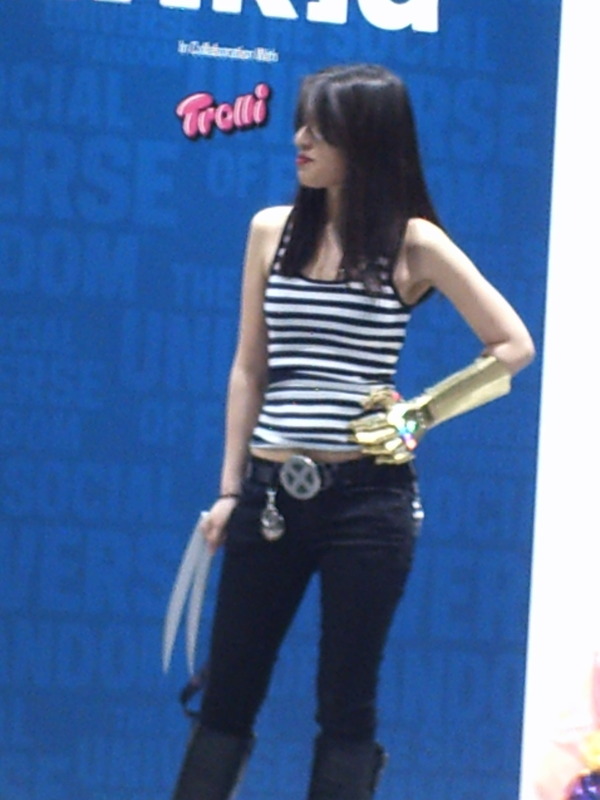 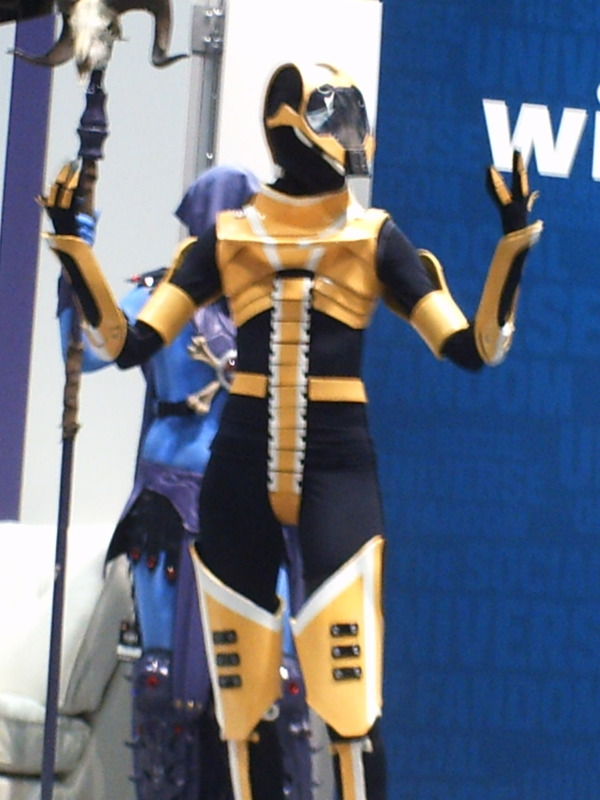 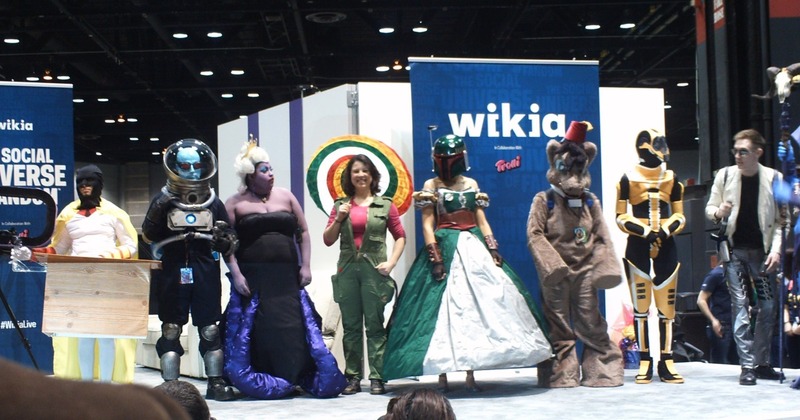 There were a number of cosplay events at C2E2 this year. 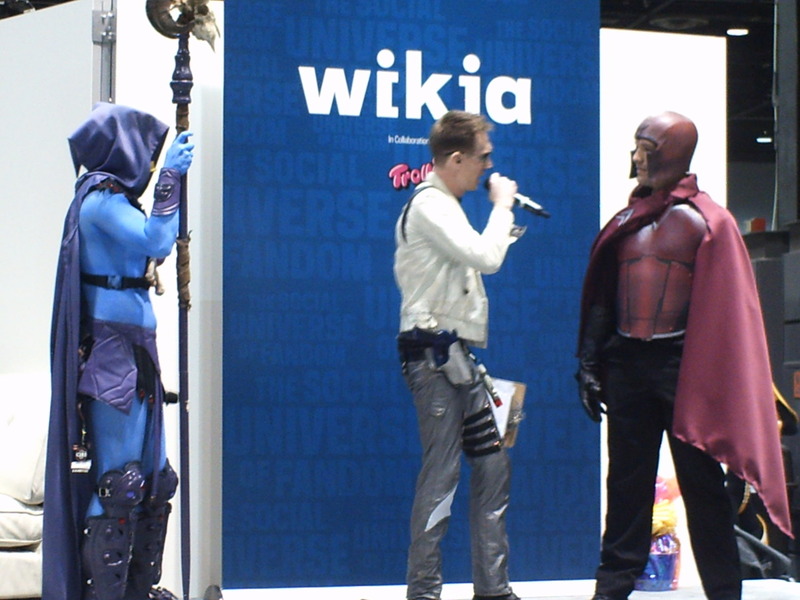 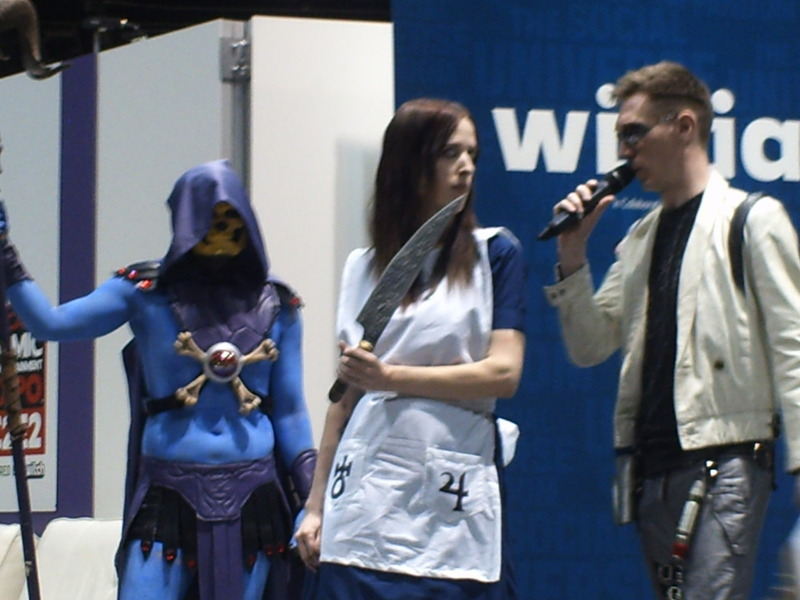 One of the first ones was a cosplay contest on the show floor LIVE! 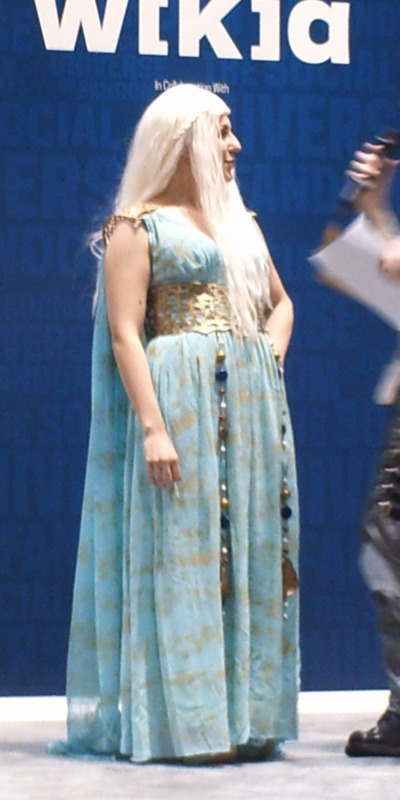 stage. 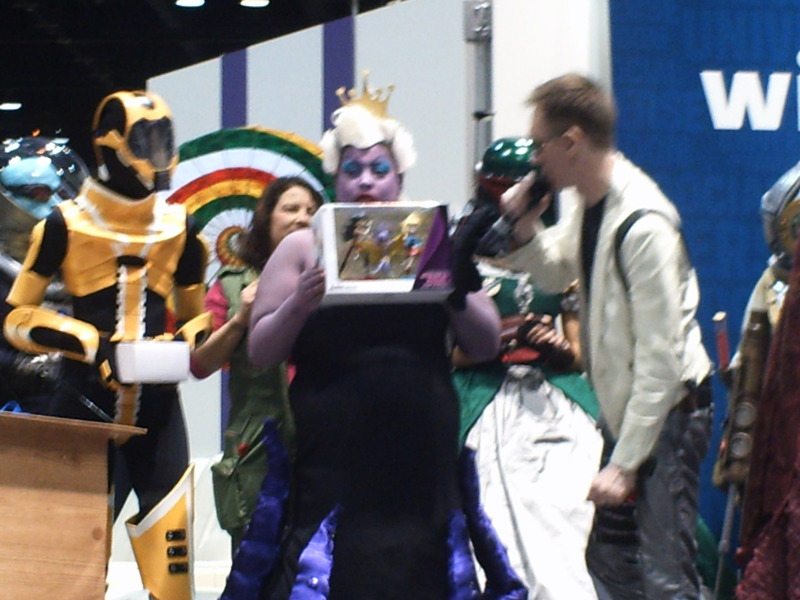 I was there to see it and took a number of pictures. 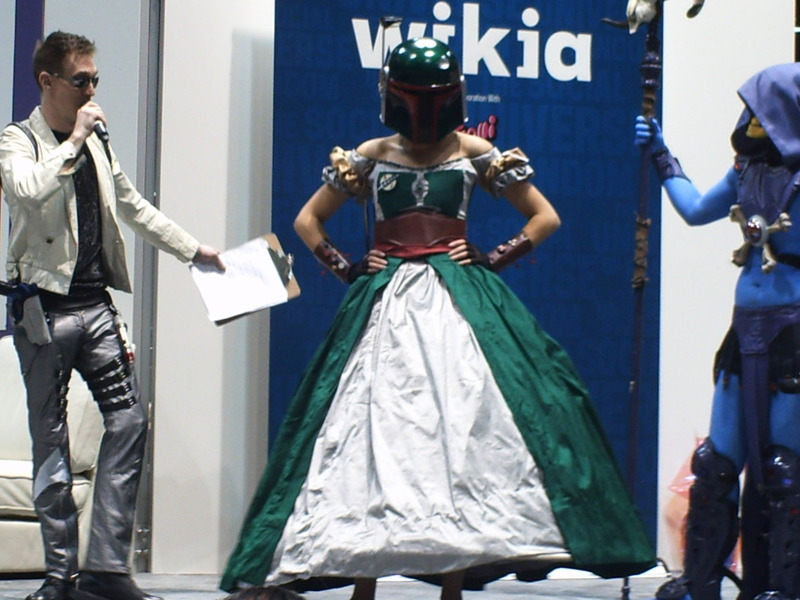 I don’t have images for every contestant, just the ones who stood still long enough for me to get a good shot. 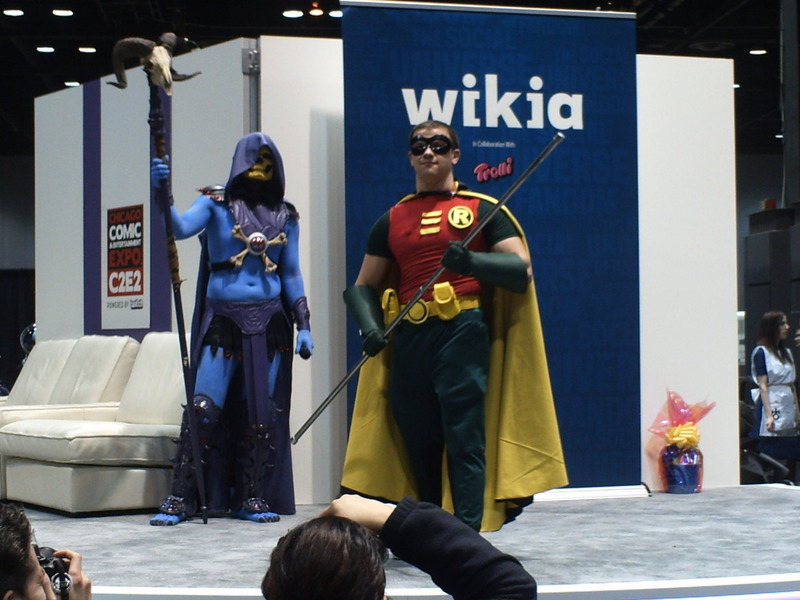 The show was hosted by Skeletor and Starbuck. 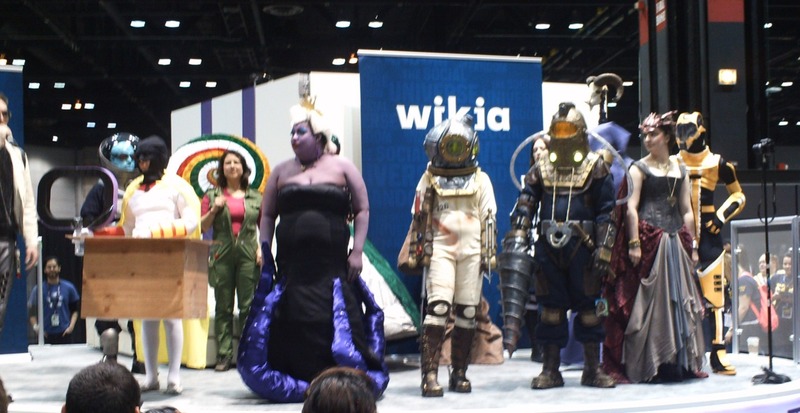 At the end they brought all of the contestants up on stage. 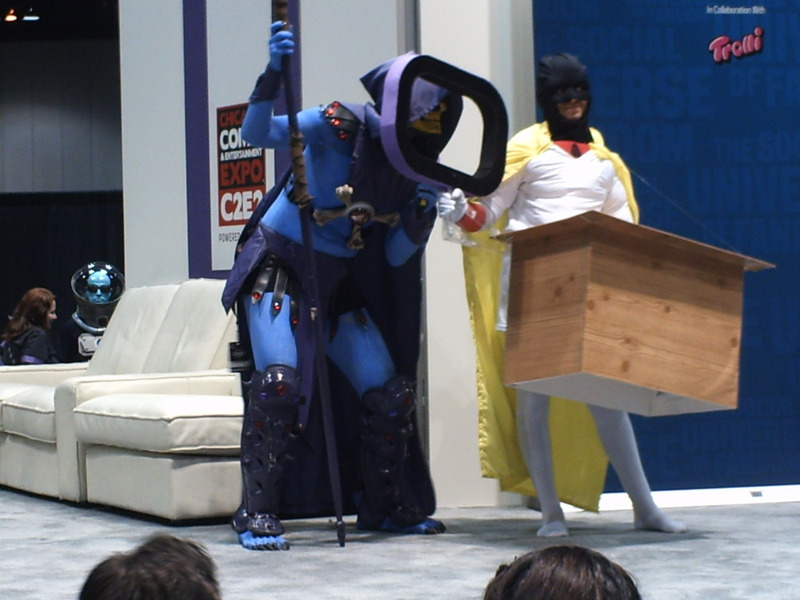 And then they selected the top five: Space Ghost Coast to Coast, Ursula, Bioshock pair, Lady Smaug, and Mass Effect Solarian. 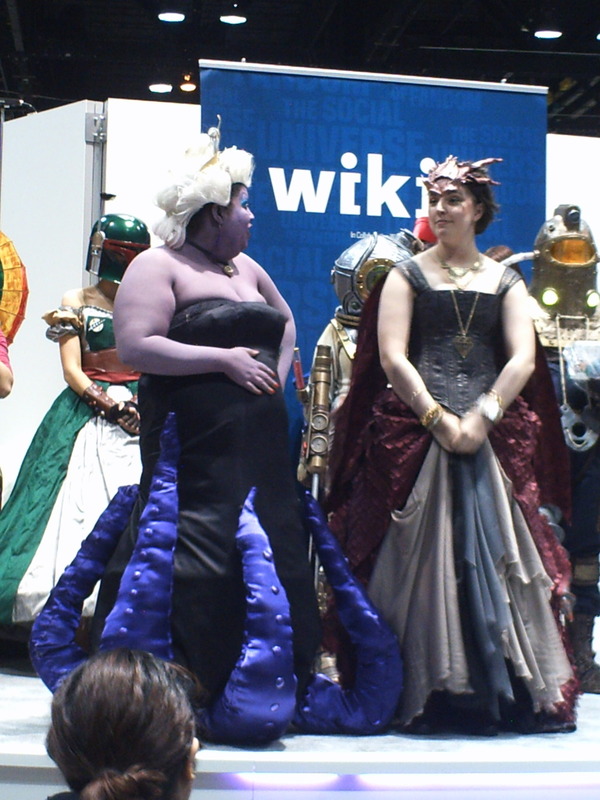 The top two were Ursula and Lady Smaug. 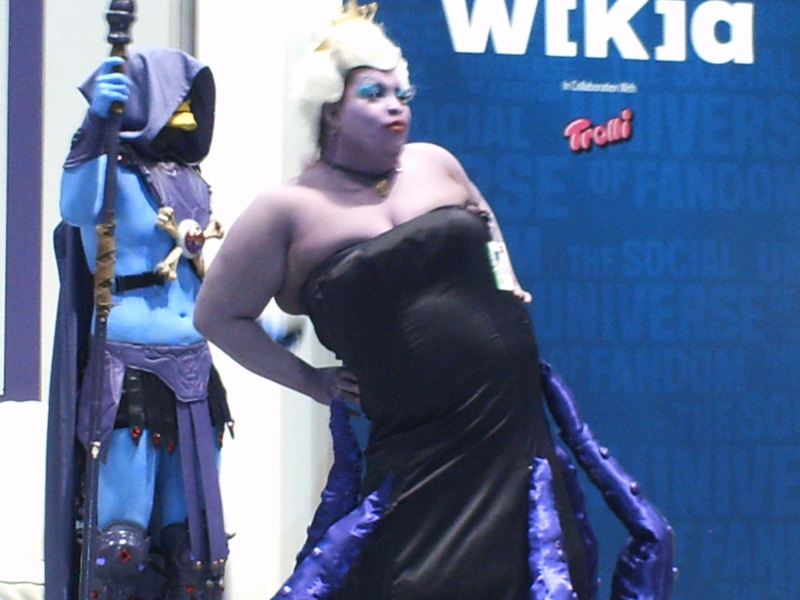 Ursula came in second place winning a Super Best Friends Forever figure set. 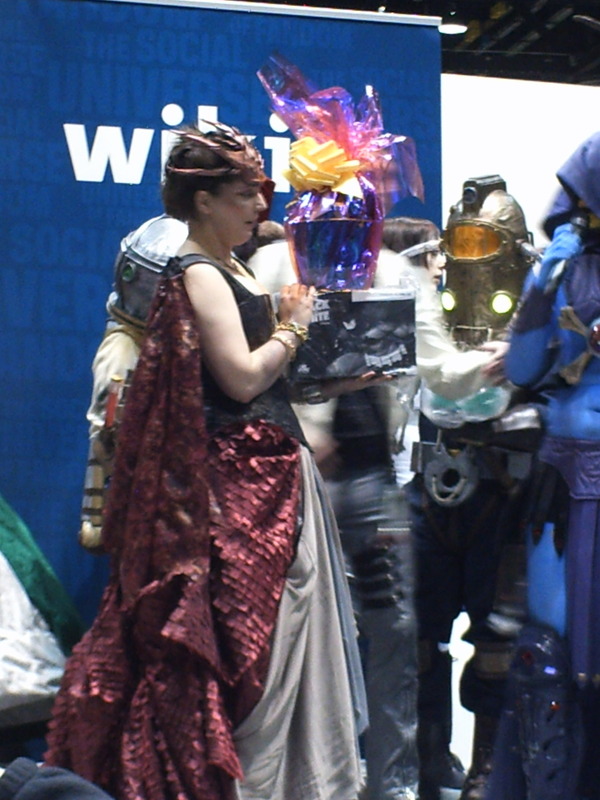 And Lady Smaug won first place and a gift bag of stuff.